World Down Syndrome Day on March 21 gives people with Down Syndrome and their advocates a voice and an opportunity to be heard. It’s a day where we assemble and organize activities to promote public awareness for the genetic disorder. The goal is to educate others of the importance of supporting our friends and family who have directly and indirectly experienced life with the condition. Down syndrome is a naturally occurring chromosomal arrangement that has always been a part of the human condition. It exists in all regions globally and commonly affects learning styles, physical characteristics, and overall health. 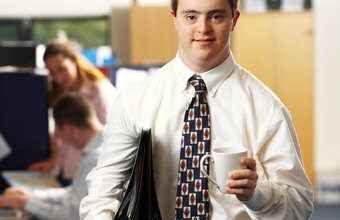 In order to ensure proper growth and development, social learning programs are required to integrate those have Down Syndrome. Every year, their voices grow louder, and they influence government policy, becoming more empowered. Through World Down Syndrome Day, people with Down syndrome can ensure their own advocacy and be included in their communities. Check to see if your local school is offering any volunteer opportunities in their Integrated Learning Center. Join local events or share yours. Find out more at worlddownsyndromeday.organd use #WorldDownSyndromeDay to share on social media. Since 2006 Down Syndrome International has promoted World Down Syndrome Day to encourage people with Down Syndrome to help raise awareness about the condition. The United Nations General Assembly declared March 21st as World Down Syndrome Day in December 2011.